So you’ve started your journey in Red Dead Online. But you don’t want to play with strangers, right? It’s time to get your buddies involved. Playing with friends in Red Dead Online is fairly straight forward, but it’s worth noting that you won’t be able to do so until after you’ve set up your first camp. That means doing the first story mission where you rustle horses with three other players through matchmaking. In Free Roam press the d-pad left to open the Free Roam menu. Navigate up to Players, where you can then navigate using the shoulder buttons to see Friends, Crew and Recent Players. From here select Friends and the Friend you want to play with, and you’ll see you can Invite to Session and Join Session. 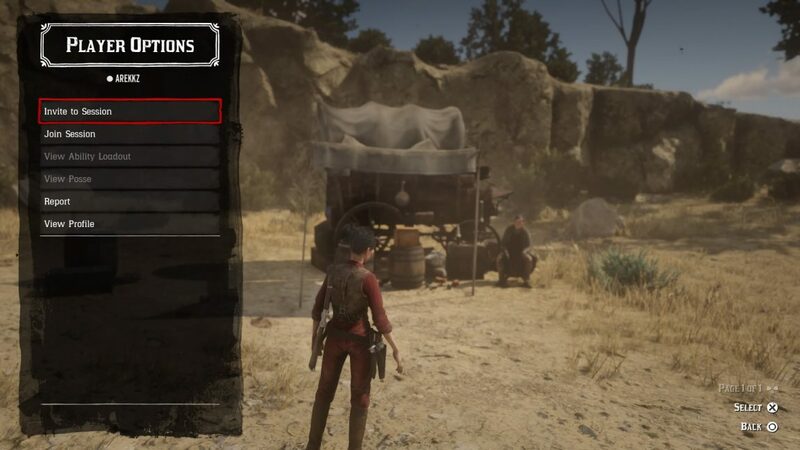 You can also see their Ability Loadout and Posse details if they have any. Now you can go ahead and crash their game or invite them to play with you online. It’s that simple. The Red Dead Online beta went live this week, firstly for owners of the Ultimate Edition. It will continue to roll-out to more players this week until it’s open to everyone on Friday.